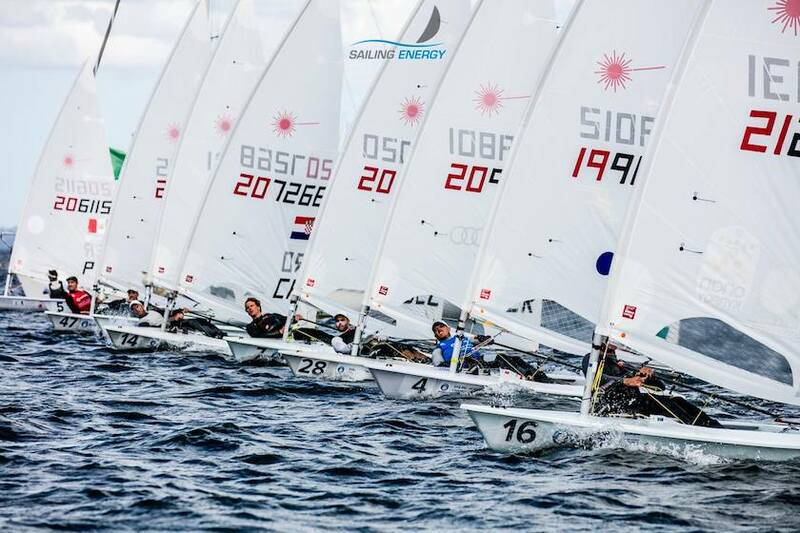 The two Laser fleets terminated the Qualification Series yesterday with two races sailed in a 15 kn breeze. The leading Marit Bouwmeester NED retired from the competition and in the Lasers Radial, the fight for rank one overall in today’s Medal Race will be between Josefin Olsson SWE and Erika Reineke USA – whoever is ahead wins ….. unless Tatjana Droszdovskaja BLR 11 points behind benefits from a down-sailing duel of the leading duo ! In the Lasers Standard, the duel on top seems to be decided in favour of Matthew Wearn AUS who is now 13 points ahead of Tom Burton AUS, who has to defend Silver against Thomas Saunders NZL only two points back. Another 6 points behind follows Sam Meech NZL with chances for a Medal.